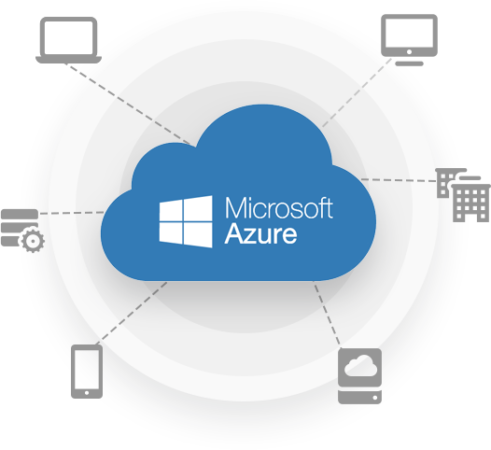 Microsoft Azure is a growing suite of integrated cloud services on which developers and IT professionals rely on to build, deploy and manage applications across our global network of datacenters. 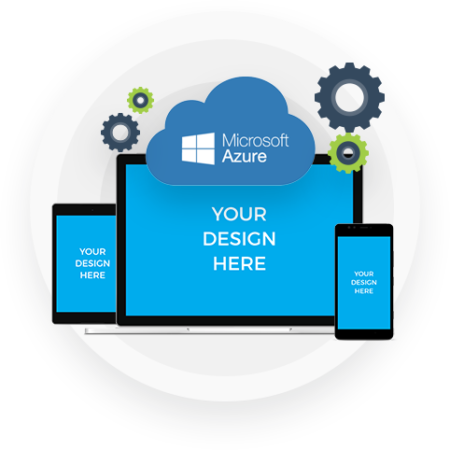 Azure gives you the freedom to build and deploy anything, using the tools, applications, and frameworks you want. Decide how you want to deploy Azure- bringing together cloud and on-premises with stable hybrid cloud capabilities and using open source technologies- for utmost portability and value from your current investments. Depend on the tools and open source technologies, you are already familiar with, as Azure works perfectly with a wide range of operating systems, programming languages, frameworks, databases, and devices. Azure provides hybrid consistency across the data platform, be it application development, management and security, or identity management. Ninety percent of Fortune 500 companies rely on the Microsoft Cloud, and so can you. 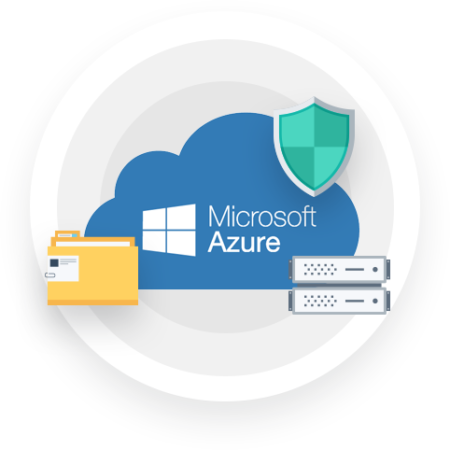 Azure follows a rigorous methodology to keep your assets safe and focuses on security, privacy, compliance, and transparency. Widen your global horizons with the cloud service offering more countries and parts of the world than any other provider. Azure works on a worldwide network of Microsoft-managed datacenters across 42 announced places. View all your Azure resources on a single screen. Azure Security Center helps you avoid, identify, and respond to threats with higher visibility and control over the security of all your Azure resources. Rely on the cloud that offers complete compliance coverage with 50 compliance offerings. Azure has been recognized as the most trusted cloud for U.S. government institutions, such as a FedRAMP High authorization that includes 18 Azure services. Build projects of all levels within a consistent portal experience using deeply-integrated cloud services to rapidly build, deploy, and manage your apps. 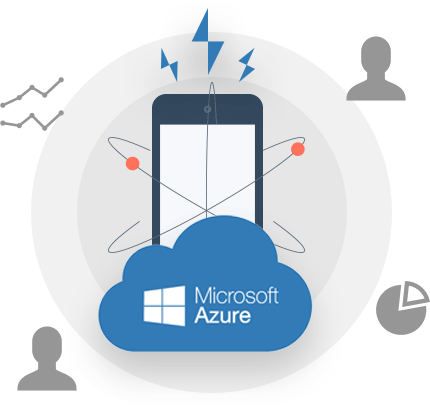 Whether you’re creating internet-scale applications or simple mobile apps, develop and iterate quicker and with immense ease using the integrated tools, APIs, and analytics in Azure. Use the Azure portal, Application Insights, and Operations Management Suite to attain actionable insights that help you to rapidly monitor, iterate, and manage your apps and systems. Take less time to build mobile apps for any popular form factor and operating system by relying on continuous development and DevOps tools like Xamarin. Discover business insights using advanced analytics and data services for traditional as well as new data sources. Find anomalies, anticipate behaviors, and recommend actions for your business. Optimize customer engagement using artificial intelligence capabilities. Use Cognitive Services and the Bot Framework to build the type of app interactions that feel natural and make users happy. Take better decisions and find new opportunities from structured, unstructured, and streaming Internet of Things data using predictive analytics services like Machine Learning. Get insights from different data sources—including ERP and CRM systems, web, and big data—and integrate your apps with tools you use daily like Power BI and Microsoft Excel.